They also recommend that you should call a NFI Certified Chimney Sweep. 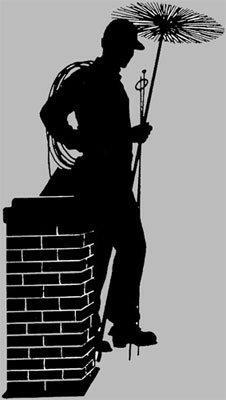 At Wertz & Co Inc. we have NFI Certified Chimney Sweep technicians available to inspect and service your chimney. NFI certification is an individual credential, awarded to sweeps only after theyve passed the test. The credential is valid for three years. To re-certify and to keep up with changing codes, practices, and technology, sweeps may earn continuing education credits. Or they may take the latest version of NFI administered examination. You can call Wertz & Co Inc. at (302) 658-5186 to have one of our NFI Certified Chimney Sweep professionals to inspect and service your chimney.